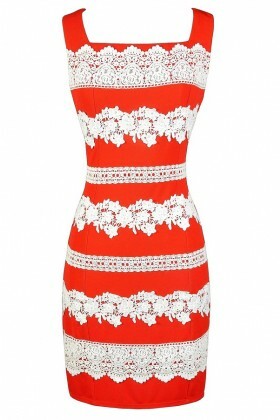 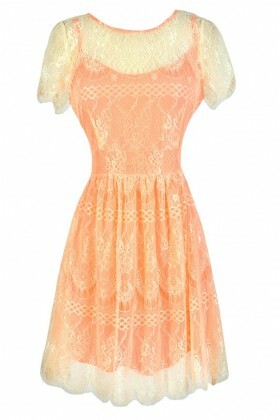 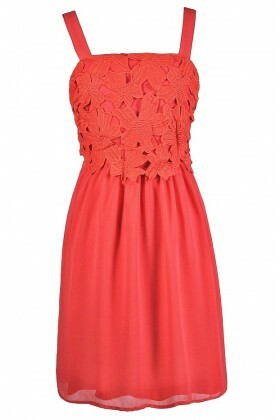 Shop the loveliest orange and coral dresses online! 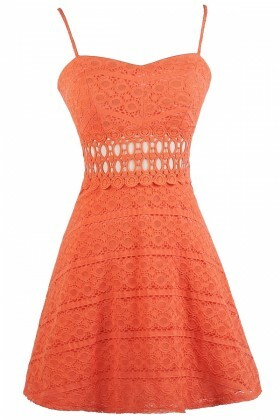 Our online boutique carries a great selection of bright orange and coral dresses that are the perfect cheerful addition to your wardrobe! 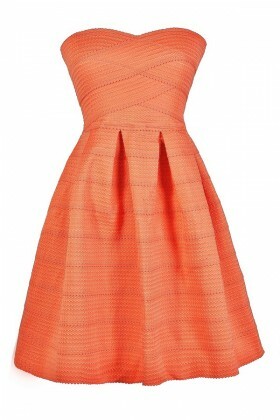 Orange and coral are the perfect colors to wear during the hot summer months--they are also perfect to pack on vacation to any tropical destination! 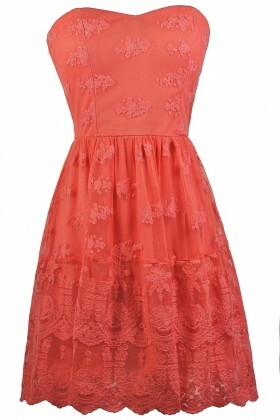 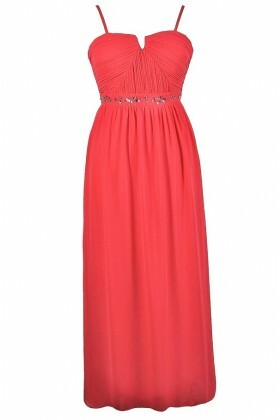 From orange lace dresses to coral bridesmaids dresses and party dresses for all your events, we've got your covered! 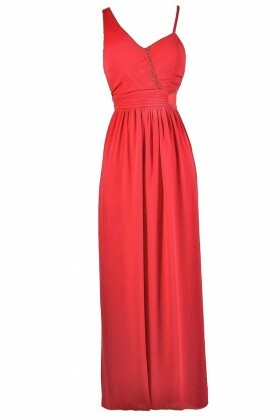 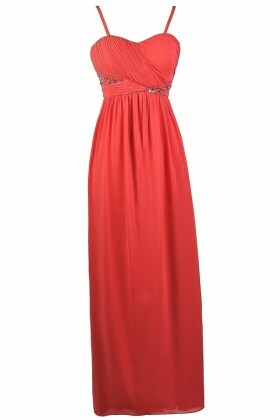 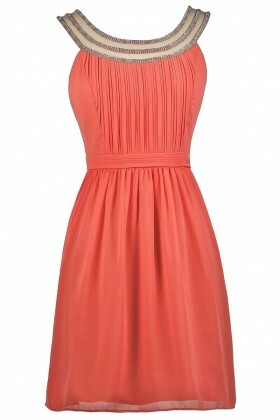 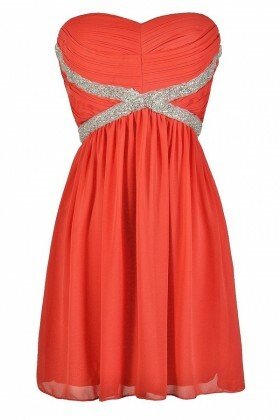 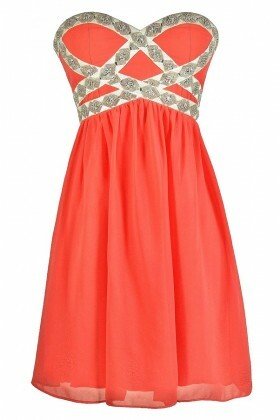 A bright coral A-line party dress is a great option to wear to any summer event when you want to stand out in the crowd! 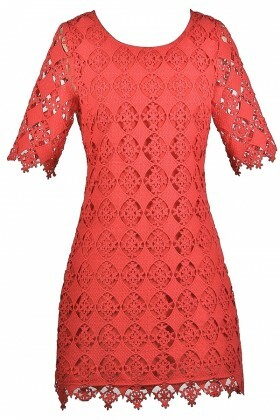 Or for something a little bit sexier, consider a fitted pink coral lace cocktail or pencil dress for a summer night out on the town. 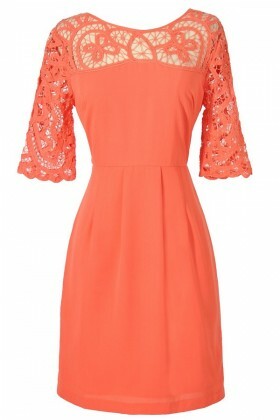 Shades of burnt orange and dusty coral can also take you into those Fall months when the weather gets colder--create that fall amber glow in a rusty orange belted dress paired with boots and a cozy cardigan. 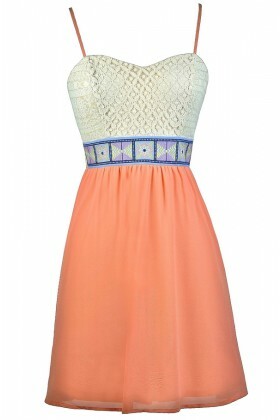 Whatever the look you want to create, you'll find it here- and if you spend over $75 you'll get FREE shipping within the USA.